Alex Dawydoff was a well known and successful editor of Flying magazine when he came to SSA in 1964. However, he was a soaring enthusiast and chose SSA out of love for our sport of soaring. He was SSA's first full-time editor of Soaring. Alex was Born in Russia in 1903 and came to the United States with his mother and sister in 1921. Later he attended Alma College in Alma, MI and Columbia University in New York City. His interest in aviation began as a child, since his father was one of the Directors of Anatra, an aircraft manufacturing firm. In 1925 he joined Sikorsky Aviation, then building the twin-engine S-29 at Roosevelt Field, Long Island. After working for a brokerage on Wall street for a short time, he became a salesman for a newly funded aviation firm, Air Associates, inc. In that year he was persuaded by J.C. Penney, Jr., of department store fame, to try gliding. Penney had imported several German instructors and gliders who were operating on Cape Cod, MA. With some power plane experience, Alex was skeptical of the gliders at first but, after exposure to primaries, he was so fascinated that he became a staunch enthusiast. Alex had further exposure to gliding with Hawley Bowlus who interested a Flushing, NY flying service in starting a school using Bowlus training gliders. Hawley checked out Alex as an instructor for this operation which used auto-tow launches. It was here that he suffered his first and only serious accident when an elevator control turnbuckle failed at an altitude of 150 feet. After a year in the hospital, he was left with a permanently stiff leg and limp. Nevertheless, he could still fly and did so into his later years. Alex then turned to a career of writing and was hired as technical editor of Air Trails magazine. Here he began the first column on gliding ever to appear in an aviation magazine. It was well received and inspired numerous readers to join the sport. His writing and soaring as a member of the AirHoppers Gliding and Soaring Club (Wurtsboro, NY) resulted in his meeting and becoming friends with many famous personages in soaring - which he considered one of his brightest experiences. 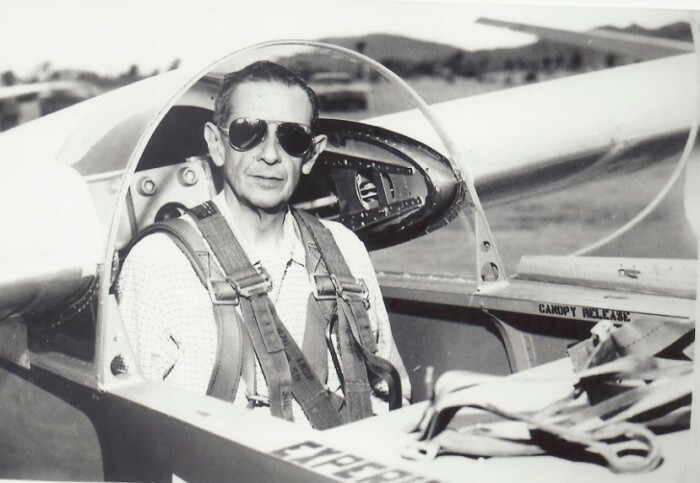 Except for two war years working in the T-2 section of the USAAF and one year redesigning the Kirby Cadet glider for a proposed New York State Aviation Vocational Training Program, Alex was with Air Trails and its sister publication, Air Progress, until 1956. He then joined the staff of Flying magazine where he became Managing Editor before taking the job as Editor of Soaring in 1964. 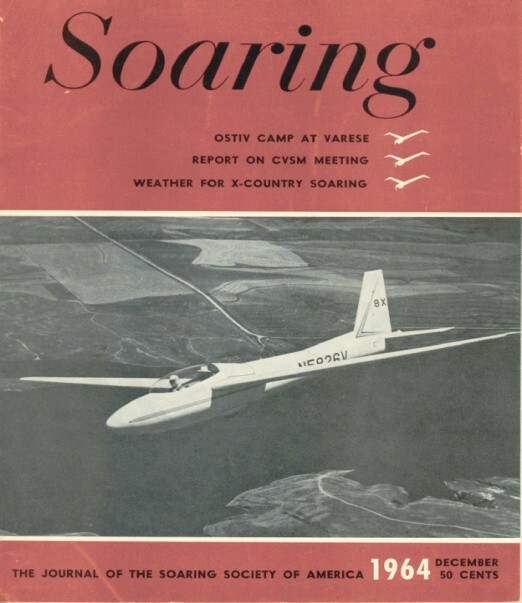 As an outside interest, he helped form the Gliding and Soaring Service, Inc., in Sanford, FL in 1945, the first VA-approved glider training school. Steven and Ginny Bennis ran the school while Alex served as Treasurer from his New York office. Later he and Don Lawrence formed the Metropolitan Soaring Association at Wurtsboro Airport, NY with two Pratt-Reads and a PT-17 tug. It subsequently merged with the AirHoppers to become the well-known M.A.S.A., which spawned Sail Flights, Inc., to operate all the flying equipment. Alex served as president of MASA and an officer of Sail Flights for many years. 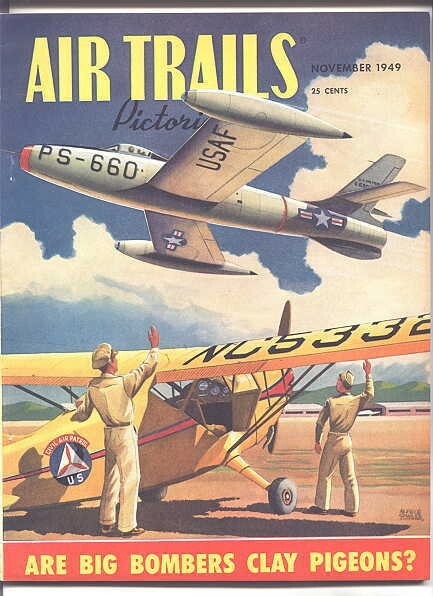 In 1953 Alex wrote the book Airplanes of the World together with illustrator Douglas Rolfe. The book was very popular resulting in numerous editions and revisions. His dedication to aviation earned him a respected reputation as a storehouse of aeronautical knowledge, some of which he has bequeathed to mankind in his work. Quote from Gill Robb Wilson: "Not too many people have made any great impression upon my life. He is one of the handful; and I don't think it was because we shared so much technology or worked together, so much as it was that he was a great thoroughbred. I never needed to doubt what his reaction would be to the false or to the tottering. I always knew where he would stand, what he would believe."